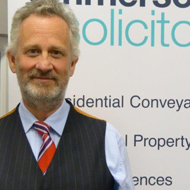 EMMERSONS SOLICITORS PUTS NORTH EAST LAWYERS ON THE MAP. The Law Society runs annual Excellence Awards and this year the awards ceremony is to be held at The Hilton Park Lane Hotel in London. I am very excited because Emmersons Solicitors Private Client Department has been shortlisted to receive an award.This is in respect of work that we carry out dealing with Wills, Probate, Lasting Power of Attorney, Court of Protection, Elderly Client issues and Contested Estates. We are only one of two firms in the North East to be shortlisted for any of the categories.The person who put forward her application from the other North East firm used to work for us and we still often work together. On the day we were shortlisted we were actually in a joint training session for both firms and their trainees! So here we are, trailblazing on behalf of the North East. The award looks at quality of service for clients and why we are different. I was able to highlight the fact that our team takes the protection of our Elderly Clients very seriously.We undertake due diligence tests to ensure that clients know what they are doing, that they understand the consequences of what they have asked us to do for them, that they are not being pressurised by well-meaning relatives into making their decisions and that the end result will actually work for the client. It has been hard work for one of our solicitors to pass her Elderly Client exams, in addition to running her caseload.There has also been staff training to become a Dementia Friend. There is so little training now available for this area of law.Younger lawyers are rarely taught this at university and yet it can be very complicated work.We actually enjoy our training sessions and enjoy preparing for them. Having just had some in-house training I thought I had better share with you issues that you should be thinking about following recent changes in the law. Who Will Inherit Your Pension Pot? It is now essential that you nominate someone to inherit your pension upon your death.This no longer has to be a dependent child, cohabitee, civil partner or spouse.You could nominate an adult child.The good news is that by making a nomination with your pesion provider the pension falls outside of your estate. It is therefore available immediately for your nominated person upon your death.This can also be a useful tool for tax planning purposes.Whilst you are at it, this is a good time to generally review your pension provision. We are regularly seeing clients in their late forties and early fifties who have a number of pensions sitting idle and possibly not with the best pension provider. I am suggesting to all clients now that they seek a review from a financial advisor. Some are able to give you an initial overview free of charge. Contact us if you would like their details. What Shall I do with My Pension? We have had further in-house and external training from financial advisors as to the new pension regulations and how they are likely to affect our clients. It is clear that you need specialist advice, some of the ideas I have heard have been very creative and have saved people a fortune in tax. However, what struck me was the number of peo- ple who have been able to retire a few years earlier with the right planning.This required no further investment, simply the best way to utilise the opportunities now available following the change in Pension Regulations. Following the change in Pension Regulations you prob- ably should. Especially those of you whose estates will be subject to Inheritance Tax. Did you make a will to include a trust before it was possible to transfer your £325,000 Inheritance allowance to your spouse? If so you may wish to unpick this now. If any of the above issues strike a chord with you then please don’t hesitate to contact us at Emmersons Solicitors for a Free Review of Your Will. The Law Society Excellence Awards specialist judges have shortlisted your organisation for the 2015 Excellence in Private Client Practice category (Entry ID 2702). How very exciting. Even to be shortlisted is a great honour given the numbers and size of other firms with whom we compete. It’s confirmation that we are doing something right.